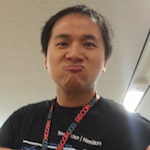 Chris Liu is a member of the security team at Rakuten, Inc., a Tokyo based e-commerce company. His passion is in reverse engineering and malware analysis, but is currently conducting security assessment for web and mobile applications. He is currently involved in making automated tools for both web and Android vulnerability assessment and sometimes does malware analysis for Japanese banks. Mr. Liu is also working as a guest researcher in a Japanese university while giving lectures to the new minds of future security pioneers.